Mike Staley CDC Office of Public Health Preparedness Response, and Alie Brima Tia, Sierra Leone Ministry of Health, were transporting Ebola specimens from a United Nation [UN ] helicopter, to the CDC Bo Lab in Sierra Leone. This was the first time the UN helicopters were used for specimen transport. 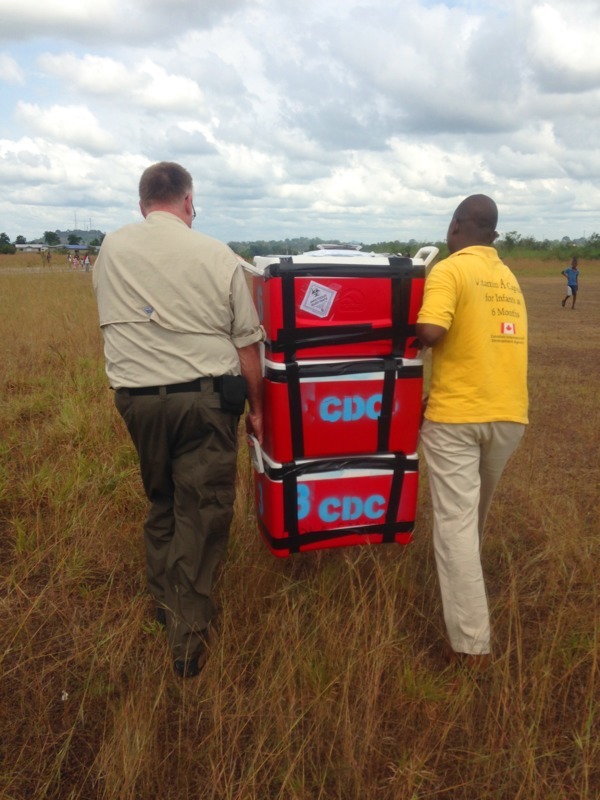 Tara Sealy, “Specimen Transport,” The Global Health Chronicles, accessed April 20, 2019, https://globalhealthchronicles.org/items/show/7759.